Paris: The French government, under pressure from weeks of “yellow vest” protests over rising living costs, Wednesday scrapped all planned fuel tax hikes for 2019 and appealed for calm. Protests erupted on November 17 in opposition to rising fuel taxes, but have ballooned into a broad challenge to French President Emmanuel Macron’s perceived pro-business agenda and complaints that he is out of touch with the struggles of ordinary people. Protests continued Wednesday, with petrol depots, service stations, and shopping centres among the targets of the “yellow vests” or “gilets jaunes” — so-called for the high-visibility road safety jackets they wear. But his office said he told ministers he would stick to his decision to cut a “fortune tax” on high-earners — a move which has infuriated many protesters. But the policy, along with comments deemed insensitive to the working class, has prompted many of the ex-banker’s critics to label him a “president of the rich”. The “yellow vests” are largely made up of modest earners from rural and small-town France, and many want Macron’s proposed tax cut for the richest repealed. Experts say the government may have reacted too late to the street protests, a regular feature of French political life which have repeatedly forced Macron’s predecessors into U-turns. Nine government ministers were sent out to the television and radio studios Wednesday to explain the administration’s stance. Labour Minister Muriel Penicaud warned against creating “chaos” which would “do nothing to resolve the problems” of workers. Some 72 per cent of French people support the “yellow vests” movement — a figure which has remained stable despite last weekend’s violence and the government’s climbdown. The “yellow vests”, meanwhile, have called for new protests this Saturday. 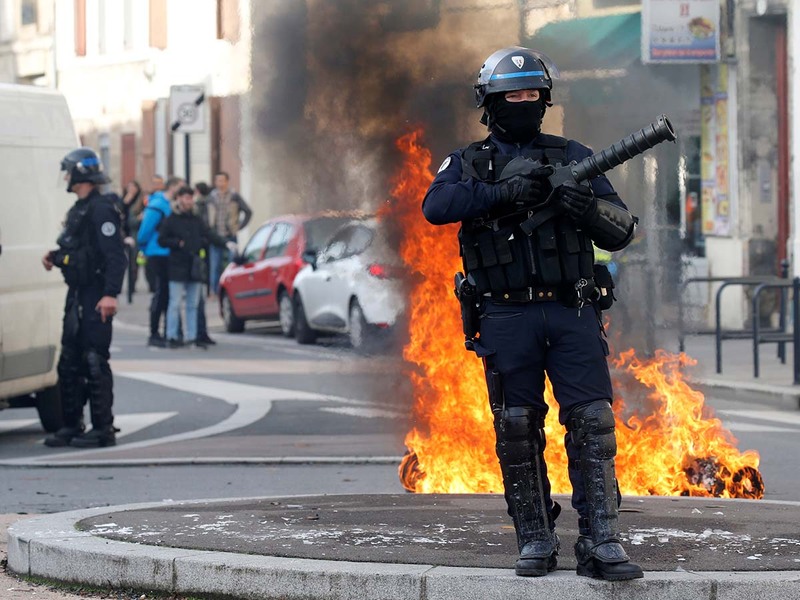 Interior Minister Christophe Castaner urged “responsible” protesters not to descend on Paris, but has nonetheless called in police reinforcements in case of more violence. Adding to the image of a country in revolt, the main French farmers’ union said Wednesday its members would hold demonstrations every day next week.